The purpose of this page is to describe how to set up a new email account to work with OlympusNet email servers or to modify or correct the settings in an existing account. 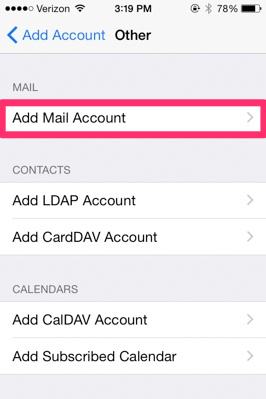 NOTE: The following settings assume that the iPhone/iPad/iPod email will be set up for IMAP, not POP. If you must set up for POP, be clear on why you’re doing that. Note that if you are set up for POP and want to switch to IMAP, deleting a POP account deletes all the email stored on the device. Press the round Home Button on the iOS device to display the iOS home page, select Settings, then select Mail, Contacts, Calendars. Select Add Mail Account as shown below. Complete the fields in the New Account screen. Note that for Description, you may enter whatever is helpful to describe the account. Using OlympusNet or example.com is fine if you have only one OlympusNet or example.com email account. Click Next after entering the four fields below. NOTE: every Email Address and User Name entry MUST be a complete email address such as janedoe@olympus.net or sally@example.com. Select Next. 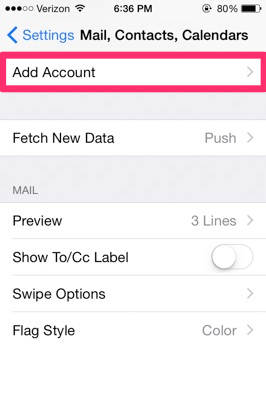 Still in the New Account screen, select IMAP or POP. 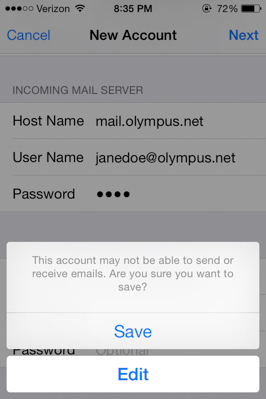 OlympusNet recommends using the default IMAP for iDevices. 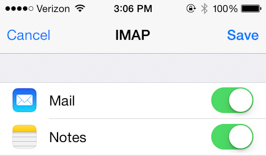 IMAP views email on the email server, POP downloads email to your device). POP is preferred for storing email and is commonly used as the primary email computer. 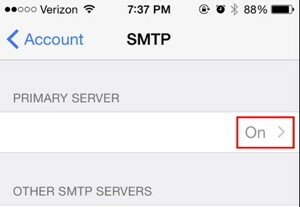 iOS devices such as iPhones and iPads are typically set up as IMAP so they can view and respond to email for up to one week after the POP computer has downloaded the email. iDevices are not suitable for email archiving which is what POP does best. and the original server name will work. In the New Account window, scroll down to INCOMING MAIL SERVER. In Host Name, enter mail.userservices.net. In User Name, enter your full email address (janedoe@olympus.net). If you are setting up the iPhone for the first time, enter the Host Name mailc11.megamailservers.com. If you are modifying an existing account using older server names, they may not need to be changed. Scroll to the OUTGOING MAIL SERVER and enter the same servers as directed above. The User Name and Password fields are not optional: enter your full email address in the User Name field. Touch the arrow under or beside the Primary Server if it is your email or domain mail with OlympusNet. Change the server names per above, if necessary. User Name must be the full email address and the password must be entered. SSL enabled will show as green. Server Port should be 587. Click Done in the upper right. Select Next. 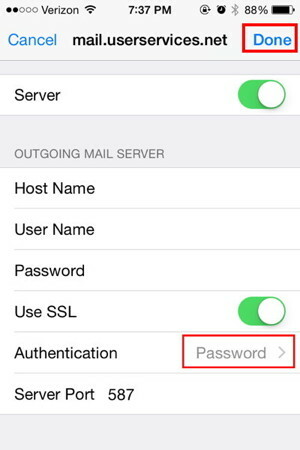 The iOS device will display Verifying while it attempts to connect to the mail servers. It may take several minutes before Verifying completes. 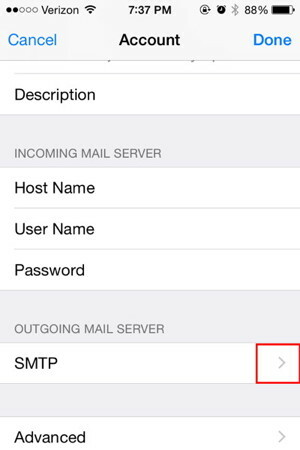 If the iOS device connects to the OlympusNet mail servers, the iOS device will display the following screen titled IMAP. Select Save, then exit the setup. If you encounter problems, they likely are misspelled passwords. If you see the following screen, select SAVE so that you can fix the settings later without starting all over from the beginning. Select Save and the account will be saved. Send mail to yourself to confirm that the device works correctly.